Couple of days ago, or weeks can't really tell :p, I wrote a review about one of the RSS Aggregators here in Kuwait. 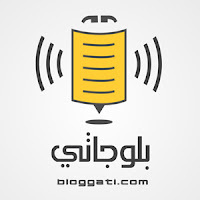 And today I will be writing another review about a new RSS Aggregator in town called Bloggati. This RSS Aggregator was created first in Kuwait in 2012, and to be honest I didn't hear anything about it earlier. Probably because I was not blogging much that time. But, however, I can see that this RSS aggregator is quiet active and includes different blogs from inside and outside Kuwait. 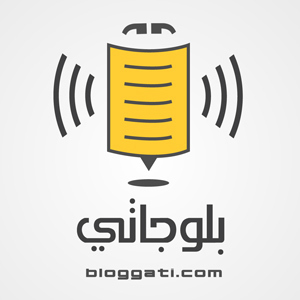 It actually covers all Arab countries, not only that, it also categorizes blogs by specialty (i.e. if you want to read only about TECH just choose that option and you will get all related posts about TECH). When I was contacting the owner of this website I asked him about the story behind creating it! He said that he love reading blogs, and that he decided to create a platform which makes reading blogs such a joyful process, by keeping it interactive. It's pretty amazing to have a website that can actually combine all cultures "bloggers" together in one place. And it makes it even easier to follow up with the bloggers and know what is new inside and outside your country. Now Bloggati can be very useful for three different categories, how? If a Blog Reader: It can help you choose your most favorite blog/category by adding the same to your reading list. If a Blogger: It helps you representing your posts to a larger number of readers inside and outside your country. If a Company: It helps companies, small projects, etc to communicate with bloggers in order to promote their business.